Denver Broncos defensive lineman Shelby Harris uses The Colt football blocking pad with arms to teach advanced block shedding pass rush maneuvers to University of Wisconsin football recruits, UW-Whitewater freshmen and high school senior prospects. 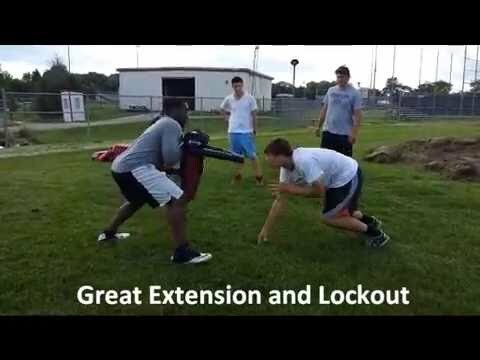 The Colt allows Harris to drill the fundamentals of violent hands against a realistic opponent without the risk of full-contact, full-pads positional drills. Harris teaches advanced pass rush moves like the rip, swim and club, and shows the DL recruits how to steer the offensive lineman, opening gaps for blitzing linebackers, all while maintaining proper pad level and body control.